1. The Italian is back “in”: Peter Heine Nielsen explains his protégé Magnus Carlsen’s winning strategy in Carlsen - Anand. 4. 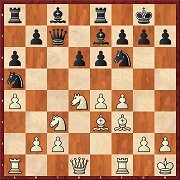 Mamedyarov’s first strike: enjoy one of the most exciting games from the Gashimov Memorial with the analyses of our author Valeri Bronznik. 5. That’s what technique is all about! Claus-Dieter Meyer shows how Giri could have drawn the tournament deciding rook ending against Mamedyarov. 7. Vis-à-vis in the h-file: solve Oliver Reeh’s Ffavourite combination in interactive format with video feedback. 8. 0-0 on move 36! Anand’s second of many years standing, Ganguly, shows how he drew the teeth from Shirov’s Sveshnikov Variation and triumphed brilliantly in the endgame. 9. 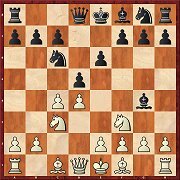 A surprise weapon in the Najdorf: let Andrew Martin explain to you the strategic and tactical potential of the variations after 6.Qe2. 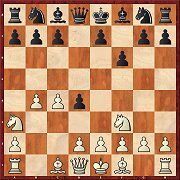 (Najdorf video 6.Qe2)! 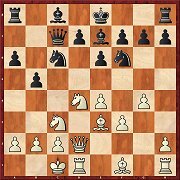 In the second part of his suggested repertoire based on 3...Bf5 Gergö Havasi investigates white setups with d3. In the starting position White can prepare the advance e2-e4 or first play c4. Black generally equalises. Although Black should theoretically have no problems with the knight move, the statistics show a high success rate for White. In Martin Breutigam’s article the alternatives to 3...f6 are also looked at. 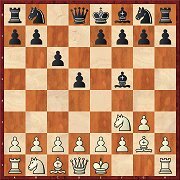 The move 2...d6 is linked to a simple plan: ...f5, ...Be7 and ...Nf6; as long as ...Nc6 has not been played, ...c6 (more rarely ...c5) also remains an option. White can play with or without d2-d4, but according to Valentin Iotov he should not be able to get much out of it. 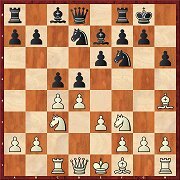 With 5...e4 (instead of 5...Bc5) Black injects some sharpness into the opening. At the candidates tournament in Moscow there were successes for both sides. According to Evgeny Postny, however, the balance should not be disturbed. From the diagram Black can play the “old variation” 10...0-0 or with 10...Nxd4 choose the “new variation”. In his very extensive article Andrey Terekhov examines both and also sets a few test exercises. 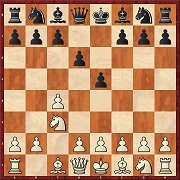 Anyone not wishing to play 9...d5, can choose the move order which leads to the diagram. As Krisztian Szabo shows in his article, by doing so Black takes a great risk. With best play on both sides White can certainly gain an advantage. 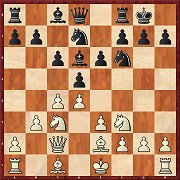 Neither 6.f4 nor 7.Bd3 is very popular, but as Marian Petrov demonstrates in his contribution, Black needs to know what he is doing if he is not to rapidly fall behind. Probably 7...Nbd7 is the best reply. 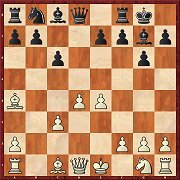 According to Viktor Gavrikov Black can equalise with 12...Na5; he is planning ...Nc4 and ...e5. 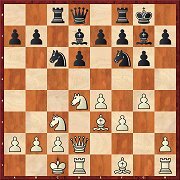 The knight move has been slightly less analysed to death than e.g.12...Rb8 and 12...Bf8, but nevertheless leads to typical Scheveningen positions. 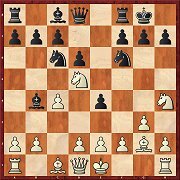 In the 3rd part of his series on the Chigorin Defence, Valeri Bronznik examines two queen moves which are intended to exploit the absence of the opposing light-squared bishop from the queenside: 5.Qa4 and 5.cxd5 exd5 6.Qb3. Black needs to know what he is doing and play accurately. The main line of the Vienna Variation (6.Bg5) has been analysed to great depth; the gambit 6.Bxc4 is a viable alternative. 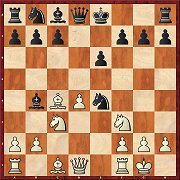 Robert Ris cannot prove an advantage for White, but nor does he see how Black should safely equalise. 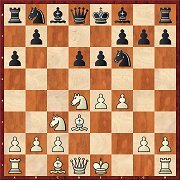 This time Mihail Marin examines variations in which Black plays ...e5 – either immediately or after preparatory moves. The judgement of our Romanian author is a cautious one: he cannot say definitely that there is an advantage for White, but he would rather have the white pieces. It is slightly surprising that Black is able to play 8...c5 at this juncture. Alexey Kuzmin calls it the Radulski Variation because the Bulgarian grandmaster who passed away at an early age (1972-2013) played this way. But in the meantime Kramnik too has adopted the variation in his repertoire.